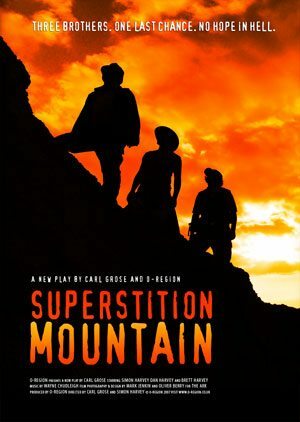 An epic new comedy adventure from o-region and Carl Grose, following three Cornish brothers on a quest to find a forgotten treasure mine in the Arizona desert. This acclaimed show received rave reviews during its autumn 2009 run, including four stars in The Guardian. Visit www.o-region.co.uk for more details.